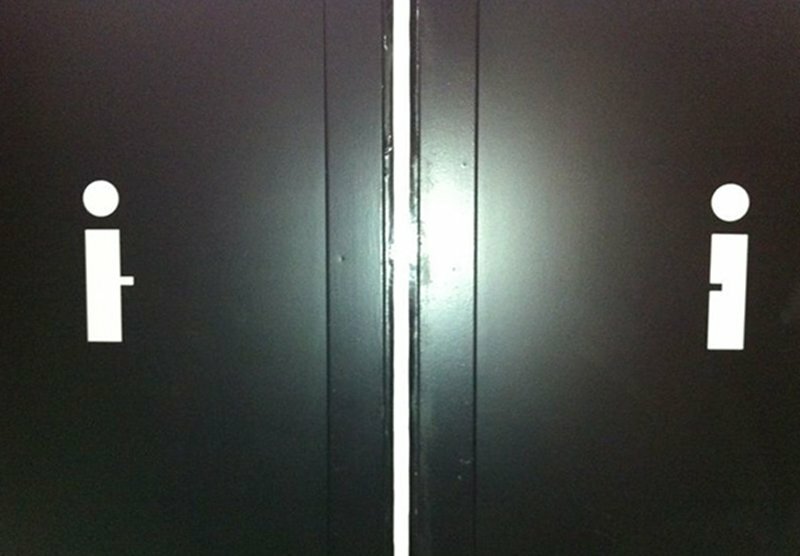 Public restrooms are a necessary evil that hardly get any gratitude. No one really wants to have to use them and get themselves to do so with a lot of dismay. However, a few noble citizens put in a lot of thought into their signs to make the unpleasantness a little amusing. They know that these hated but much needed sanctuaries deserve more than a boring ‘Men’ or ‘Women’ sign. 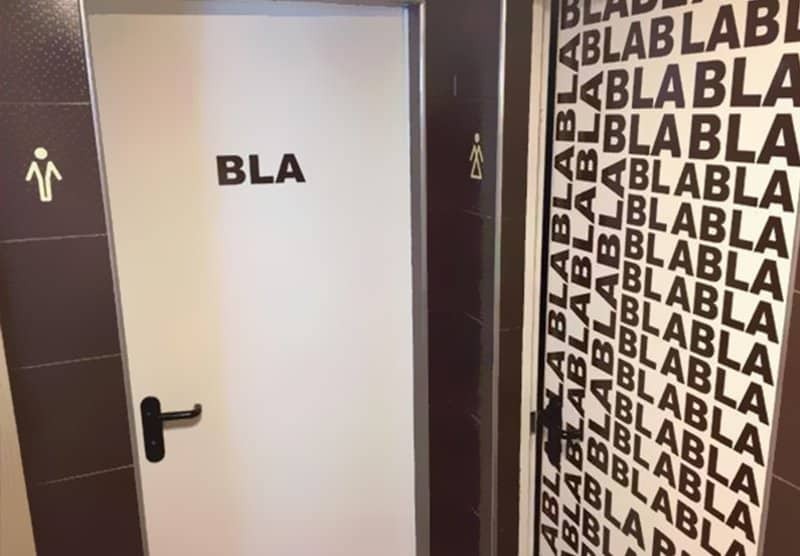 Here are 10 of the most hilarious and often brain-teasing bathroom signs. 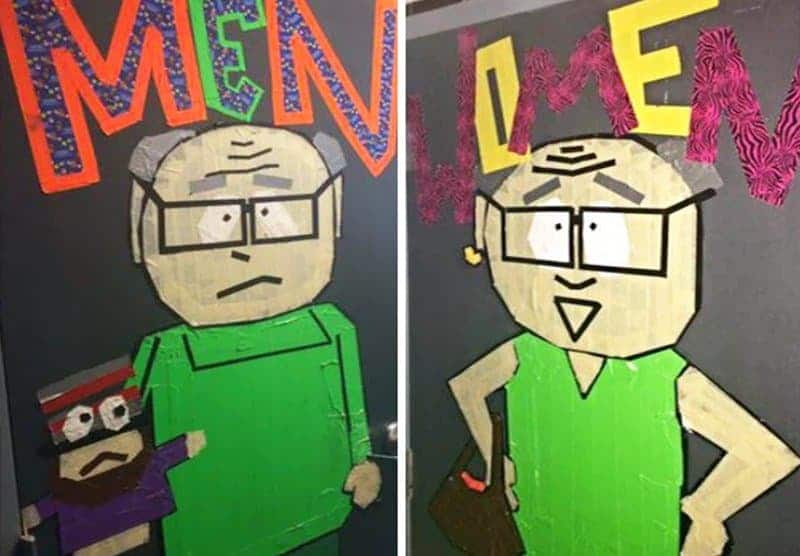 Inspired by South Park’s famous take on transgender issue, this sign is sure to put a smile on the faces of all the fans who absolutely adored Mr and/or Mrs Garrison. For those who do not get the reference, Mr/Mrs Garrison’s personas still shine in their defined gender roles ironically with no confusion. This playful clever sign would delight all minimalists. But after a beer or seven, it may be absolutely critical to recall everything taught to you in those biology classes and make the right decision in a few seconds. 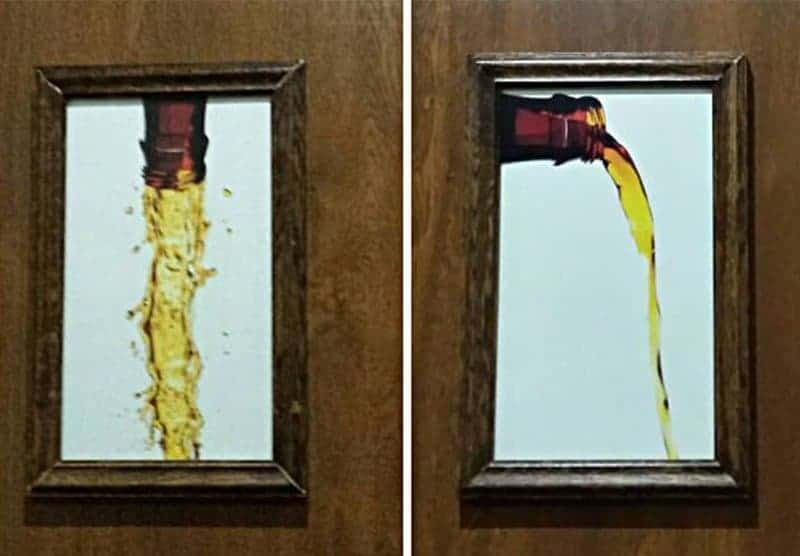 These cute pictures use elements from nature and a careful choice to clearly differentiate the two for a smile-worthy restroom sign. 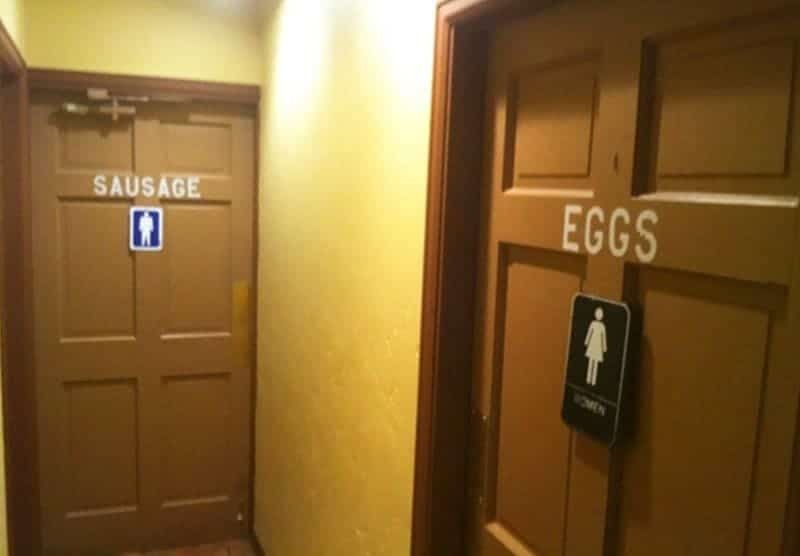 While some may loose their appetite at the literal meaning of the signs, most may find the reference to human anatomy and breakfast food hilarious and almost apt descriptions. This well-designed witty sign plays on the stereotypical drinks ordered by male and female patrons. 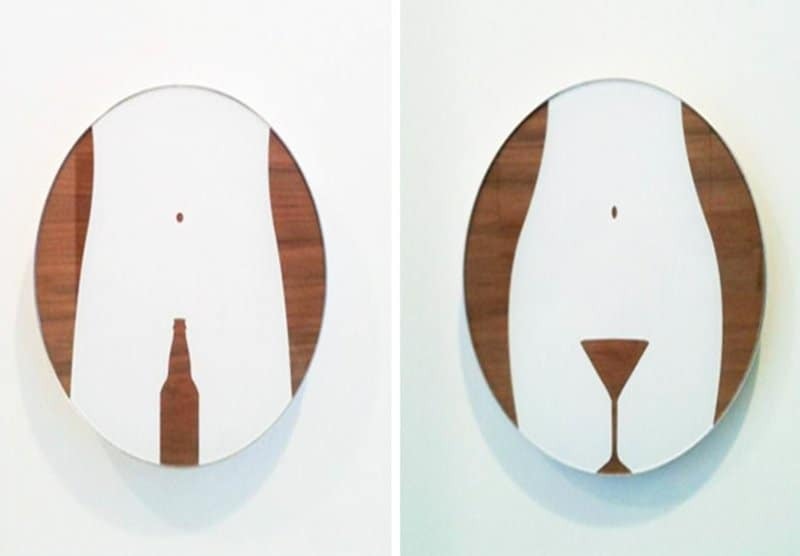 The sign cleverly juxtaposes the wine glass and beer bottle against concepts of femininity and masculinity respectively. For the beer lovers, here’s another clever sign using direction and perfect placement to convey more than required. Sometimes pictures do speak a lot more than words. While many studies show that men speak much, much more than women in every social situation ever studied, it is difficult to stop the plague of stereotypes. 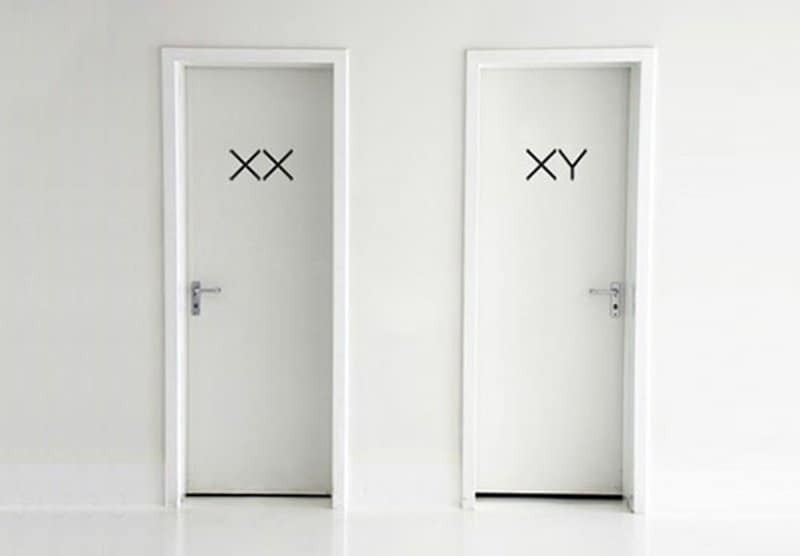 To many, this take on restroom sign may appear to be sexist. But what better way to attack a stereotype than with humor? For all those Wild Westerners, here’s a smart sign inspired by the Old West. 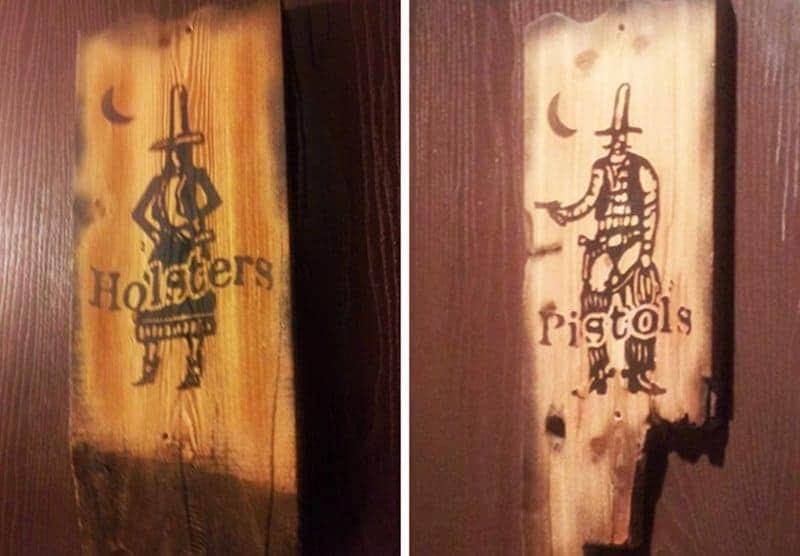 The clever sign differentiates the genders with motifs of holsters and pistols. How fast can you pick up intricate details? 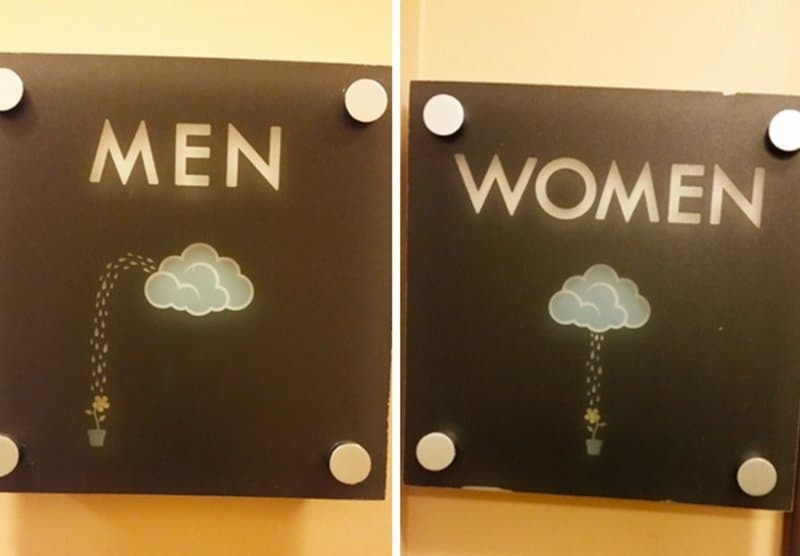 These minimalist signs playfully distinguishes the male and female restrooms with the tiniest missing and added set of pixels. 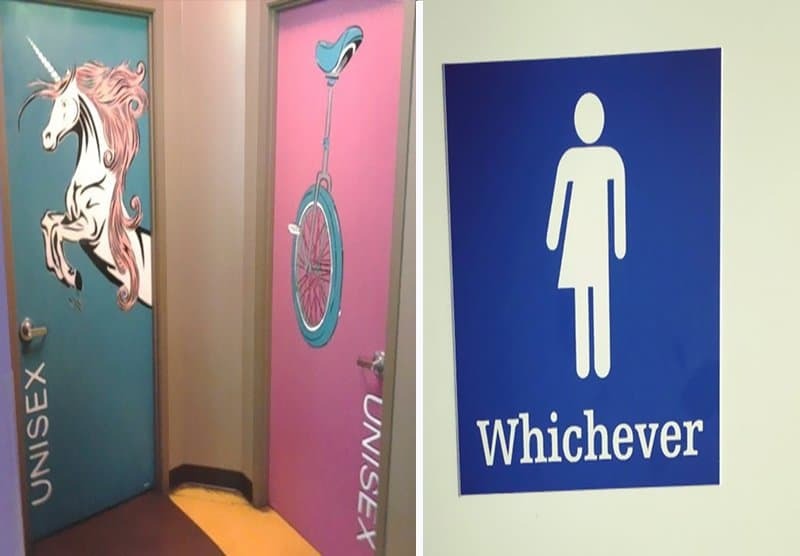 Gender neutral restrooms are more than just an infra-structure choice. These signs are not just beautiful and funny but also heart warming for trying to make tolerance and acceptance effortless.